Feeling like your dull brown hair needs a freshen up? 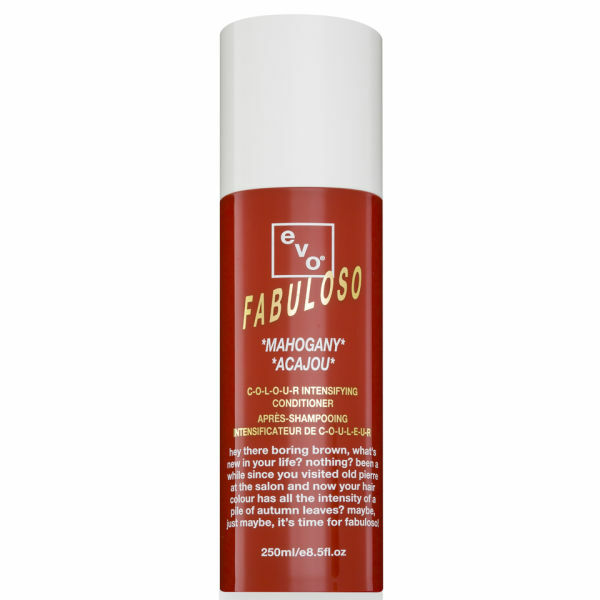 evo fabuloso in mahogany enhances your medium to dark hair with lovely mahogany tones, repairing, nourishing and intensifying the colour. As a person with dyed red hair this product is a god send!! Not only does it give your hair a boost of vibrant colour but the look & touch of my hair is outstanding!! Super glossy & seriuoly soft which can be hard to achieve with coloured hair! But not anymore now I have FABULOSO in my life!!!!!!!! Glad you're so happy with your fabuloso.. it is a truly great product.